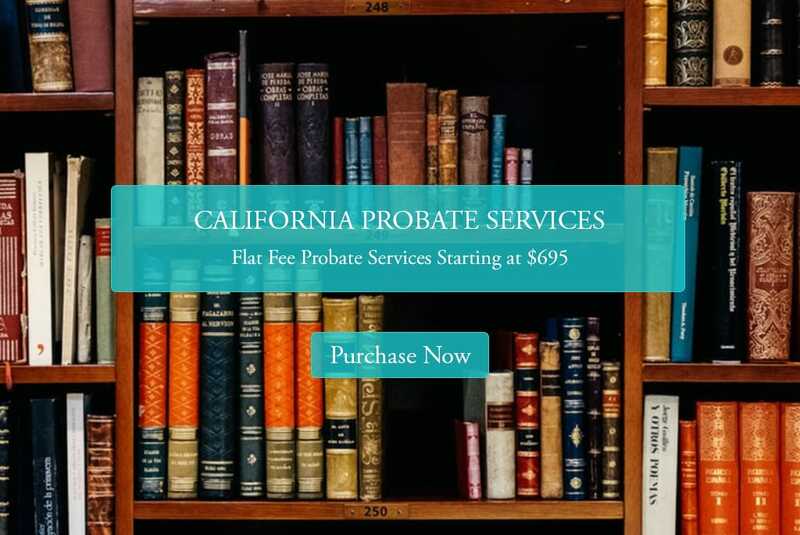 Below are answers to common questions we receive regarding California probate. At San Diego Esquire, we provide affordable probate legal document preparation services to California residents for as low as $695. Unlike most attorneys, we offer flat fee probate services. We will prepare the legal documents you need to start and complete the probate process. Sign up on our website today to begin the process. Read on to view our frequently asked questions. Probate is the court proceeding that transfers the assets of a deceased person to his/her heirs. Probate begins when the executor, who is the person named in the will to handle the administrative duties of the estate, files a petition with the court in the county where the decedent lived. If the will did not name an executor, then a close relative can file the petition and the court will appoint an executor. The court will validate the will. If there is no will, the decedent’s assets will be distributed according the California intestate laws. The executor will be responsible for locating, securing, and valuing the assets in the estate. The executor will need to notify any creditors of the probate proceeding. During the process creditors can make claims against the estate. The executor will be responsible for evaluating and paying creditor claims. The executor must file the final tax return for the decedent and pay any taxes. Once probate closes, the executor must distribute the remaining assets to the heirs. Which Assets Are Subject to Probate? Which Are Not? Any assets that were titled solely in the decedent’s name as well as assets that were held as tenant in common are subject to probate. This includes real estate, bank accounts, stocks, bonds, and personal property. Assets held in joint tenancy or have a named beneficiary, such as a life insurance plan or a transfer on death deed, are not subject to probate. However, if the named beneficiary died before the decedent, an no alternate beneficiary has been named, the asset will be subject to probate. In California vehicles are exempt from probate. Finally, any assets that are part of a trust will not go through probate. If the total value of assets in the estate (this excludes assets listed above that are not subject to probate) is less than $150,000, then the estate can be settled using an affidavit rather than probate. However, the small estate affidavit procedure is not recommended if there is likely to be a contested will or the decedent had a lot of debt. In California probate takes a minimum of four months to allow creditors to make claims on the estate. If there are no issues, probate takes about 8 to 12 months. If there are will contests or issues with creditors or taxes, probate may take longer. If there are few assets and few issues, many estates can be settled without the assistance of an attorney. When there are disputes among heirs or the estate has a lot of assets, the executor should hire a probate attorney. Probate is a time-consuming process, and many executors may need the assistance of an attorney. Keep in mind that probate attorney fees are statutory, based on the size of the estate. Flat fee probate services starting at $695.